NEW DELHI (Reuters) – India’s Supreme Court will name a panel on Thursday to hear arguments over a controversial plan to build a Hindu temple on the ruins of a 16th-century mosque. A Hindu mob tore down the mosque in 1992, triggering communal riots that killed about 2,000 people across India. The site, in the northern town of Ayodhya, has been the focus of dispute between majority Hindus and minority Muslims for many years. Chief Justice Ranjan Gogoi, who fixed the date for setting up the panel, did not give details. Building the temple is a key demand of the conservative Hindu allies of Prime Minister Narendra Modi’s Bharatiya Janata Party (BJP) and has gained fresh impetus ahead of a general election due by May. Both Hindu and Muslim communities have petitioned the Supreme Court, which has taken control of the site, to resolve the dispute. 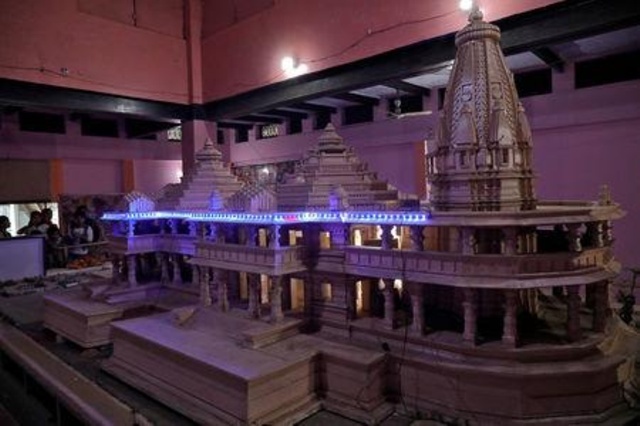 The allies of the BJP, including the Rashtriya Swayamsevak Sangh, its parent, have asked the government to introduce legislation to allow the temple to be built, bypassing any Supreme Court ruling. Hindu groups believe the site to be the birthplace of Lord Ram, one of the religion’s most revered deities. Asked about the issue, Modi told Reuters partner ANI on Tuesday that the judicial process should take its course. A day later, Alok Kumar, an official of the Vishva Hindu Parishad, or the World Hindu Council, responded that Hindus were getting impatient because the case had been pending for a long time. Over the past three decades, the group has spearheaded a campaign to build the temple. In the past few months, it has organised rallies of tens of thousands of activists, monks and other supporters, in support. Of course it is for the Indians to decide, not me, but …. I would say: let them have the place for their temple if their God was born there. We Muslims, Alhamdolillah, All Praise is due to Allah, can pray anywhere and are not fixed for that particular location.